GeForce GT 1030 is the latest entry level budget graphics card from Nvidia. It is the youngest graphics card in the GeForce 10 series graphics card lineup and is also built on the Pascal GPU architecture from Nvidia. This low budget graphics card packs decent amount of power and is a great card for eSports titles, Video Editing, HTPC and for running older games on high settings. It can also run some of the latest games on low settings at 720p resolution with around 25 to 30 FPS on average. Also if you want to move from onboard or integrated graphics to a powerful and affordable dedicated or discrete graphics card then Geforce GT 1030 is a perfect card which you use for watching HD & Blu-ray movies, casual gaming and for running 4K display or video playback. GeForce GT 1030 is faster than the older GeForce GT 730 and GeForce GT 740 graphics cards and is priced under 100 dollars. 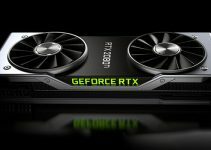 The main competitor of GeForce GT 1030 is Radeon RX 550 which is also a latest and powerful budget graphics card under 100 dollars. GeForce GT 1030 comes with 384 CUDA cores and 2GB GDDR5 memory having 64-bit interface. It has GPU clock frequency of 1468MHz (Boost) and memory speed of 3000 MHz. It supports the latest APIs that include DirectX 12, OpenGL 4.5 and Vulkan. The card consumes very low power (about 30W max.) and it does not require external power connectors from the PSU. You only need a decent 300W power supply for this graphics card. Operating Systems supported by GeForce GT 1030 graphics card includes Windows 7/8/10, Linux and FreeBSDx86.Different graphics card manufacturers offer their own variant of GeForce GT 1030 graphics card and here I am going list down the best GeForce GT 1030 models from different brands or manufacturers with their specifications. 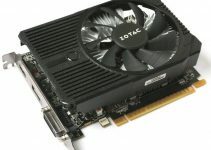 It will help you to choose the right GeForce GT 1030 graphics card for your needs. Important Note: This post is all about the GDDR5 GeForce GT 1030 card because there is a DDR4 GeForce GT 1030 card available too, which has very bad performance and is almost 50% slower than the GDDR5 one. So, do not ever buy a DDR4 GeForce GT 1030 card. You can check the complete comparison between these two cards by going to the link given below. Here are some of the best GeForce GT 1030 graphics cards from top graphics card brands or manufacturers. These are great graphics cards for casual gaming, video editing, HTPC, 4K video playback and for work for home and offices. 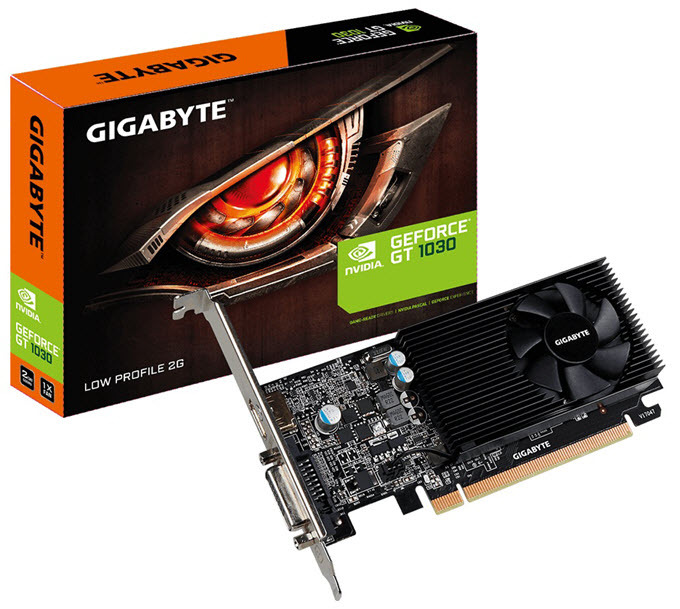 Gigabyte GeForce GT 1030 Low Profile 2G is one of the fastest selling and popular GeForce GT 1030 graphics cards that you can get well under 100 dollars. This is a low profile graphics card having single slot design. For cooling, the card comes with a black heatsink and a small fan that keeps the temperature of the card under control. This is an overclocked version of GeForce GT 1030 graphics card which means it comes with higher GPU and Memory frequencies of 1506 MHz and 6008 MHz respectively. This card is also very compact at 150mm and it can fit in all the PC cases including mini-ITX ones. The card features One-click overclocking via AORUS Graphics Engine. The connectivity options for this card include DVI and HDMI ports. This is the fastest GeForce GT 1030 graphics card that you can get for your PC. 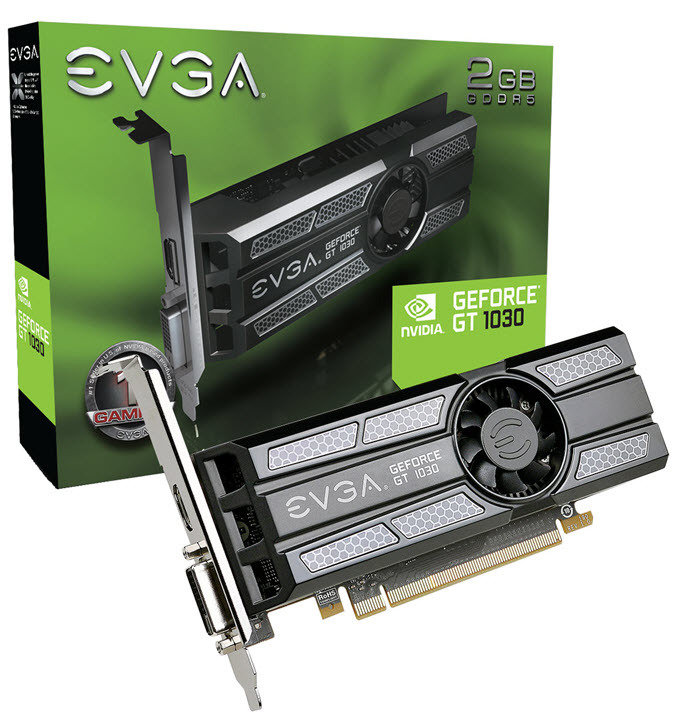 EVGA GeForce GT 1030 SC card has GPU Boost Clock of 1544 MHz and it memory operates at 6008 MHz. The card is also very good looking and it comes with a covered heatsink all over the PCB with a fan on the side. It is also a low profile graphics card but it may occupy more than one slot because of slightly elevated heatsink. A low profile bracket comes included with the card and for connectivity it has got one DVI and one HDMI port. You may also overclock this card further using EVGA Precision XOC overclocking software. On the performance front, the card is around two times faster than the Intel Core i5 integrated graphics. So if you want the fastest GeForce GT 1030 graphics card with low profile design then you must get this one. Highly Recommended by me. This is one of the cheapest low profile GeForce GT 1030 graphics cards available in the market. 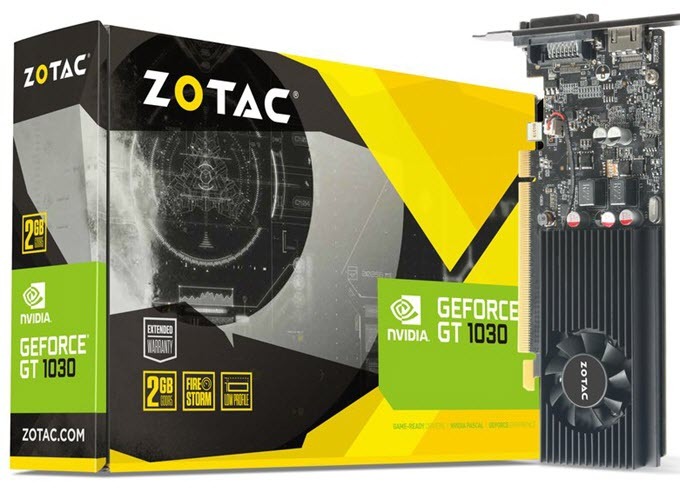 ZOTAC GeForce GT 1030 2GB GDDR5 is a non-overclocked GeForce GT 1030 graphics card which means it comes with stock frequencies of the reference GeForce GT 1030 graphics card. A low profile bracket comes bundled with the card so that it can be made fit in low profile or slim PC cases. The card has got single slot design and it comes with a small black heatsink and fan which keeps it pretty cool even during heavy load. The card is also very compact and it can fit in the smallest of computer cases. The connectivity options include HDMI and DVI port and you can connect multiple monitors to it for dual display. 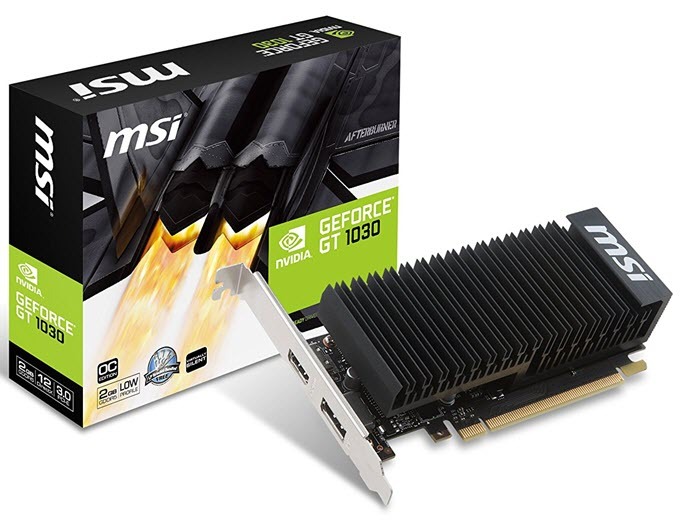 Another low profile GeForce GT 1030 graphics card but this one is from MSI. The card comes pre-overclocked for greater performance in games and applications. This is a single slot graphics card and comes with a small heatsink and fan. The card is compact enough to fit all the computer cases including mini-ITX and mini-tower cases. 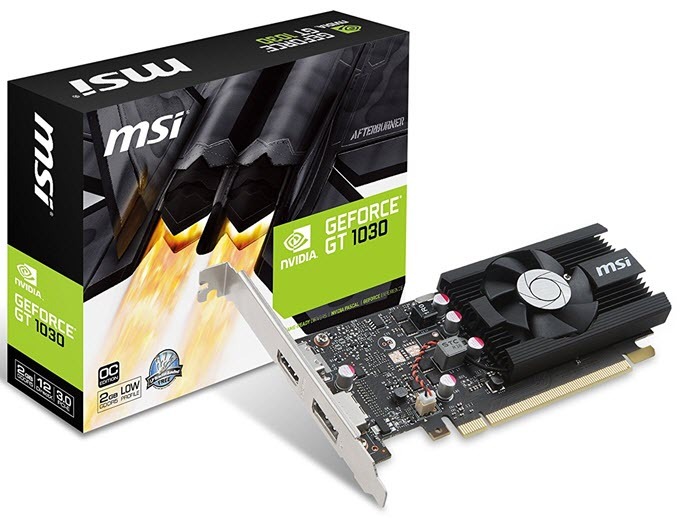 The main advantage of MSI GeForce GT 1030 2G LP OC over other GeForce GT 1030 graphics card is that it comes with a DisplayPort (DP) in addition to HDMI port. If you want a little more performance then you may overclock this graphics card further using the MSI Afterburner Overclocking Utility. Here are passively cooled GeForce GT 1030 Graphics Cards that are completely silent in operation because they only have heatsink for cooling. These silent graphics cards are great for building a HTPC or a PC for video editing purpose where silent environment is required. This is a low profile and passively cooled Geforce GT 1030 graphics card from Asus. 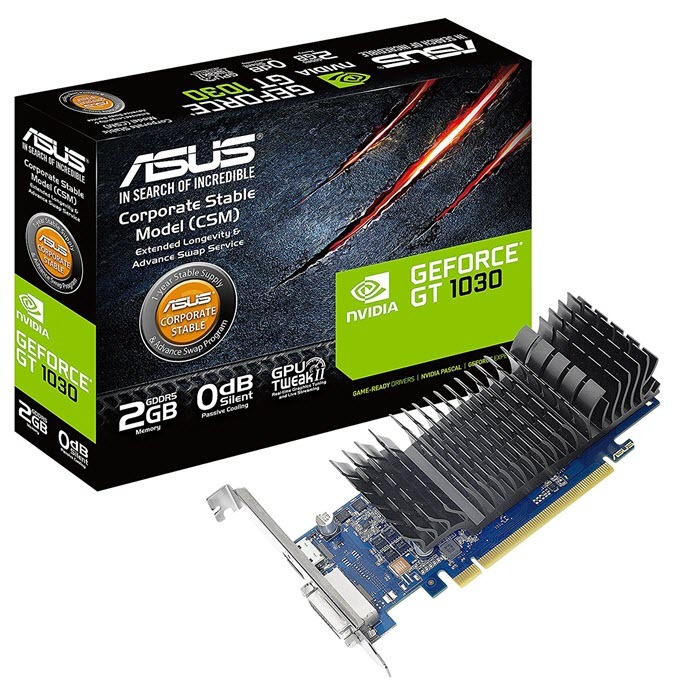 ASUS GeForce GT 1030 2GB GDDR5 is a fanless and completely silent graphics card (0dB silent) that comes only with heatsink as cooling solution. This is a CSM or Corporate Stable Model version of the card which means it has been tested for longevity and stability under any type of condition. This Geforce GT 1030 graphics card comes with overclock GPU frequencies. The heatsink of the card is a bit taller which can make it occupy two slots on your motherboard. It comes with GPU Tweak II Asus overclocking software but it would not advise to overclock this card more because of passive cooling. For connectivity, the card comes with DVI and HDMI ports or connectors. A super silent passively cooled GeForce GT 1030 graphics card from MSI. This is a low profile graphics card but it can occupy two slot on your motherboard because of the larger heatsink. This is also a compact graphics card and can fit in slimmest and shortest of computer cases. It is an overclocked (OC) version of Geforce GT 1030 and offers a slightly better performance than a Stock GeForce GT 1030. You may overclock or tweak the card more using the MSI Afterburner overclocking software. At the end I would like to say that if you want a cheap and fairly powerful latest graphics card for your PC then you can pick any one of the above mentioned GeForce GT 1030 graphics cards according to your requirements and choice. If you are still confused on which GeForce GT 1030 card to pick, then you can ask me your queries by leaving a comment below. I have a HTPC with pentium G3260 with Asrock z87m OC formula motherboard. Case is Coolermaster Elite 360 desktop case. Looking to do 4K video. Which of the cards will produce less heat. I suggest you to go with Gigabyte GeForce GT 1030 Low Profile 2GB. What do you think about the Gigabyte GV-N1030SL-2GL compared to your other 2 recommendations for passively cooled cards? Gigabyte GV-N1030SL-2GL is also a good low profile passively cooled GT 1030 card. There is nothing major to differentiate about. MSI one is a bit more compact, has slightly higher clock speed and comes with HDMI and Display Port while Gigabyte and Asus has HDMI and DVI port. Thank you for the quick reply and info, appreciated! Corrected the typo and thanks for the input. CPU: i7 3770 , PowerSupply: 320W. And i have onboard shity GPU! And i need the card for Design and good videos ,my most usage is wordpress , and multimedia. So what i’m really looking for is a sharp and pure view !! Cuz my onboard gpu looks awful ,and there’s yellow color instead of white in the screen. So first of all ,can any of the cards above meet my hardware specs? And if yes what is the perfect for me ,according to my usage? GeForce GT 1030 is pretty powerful budget graphics card that is good enough for more than casual gaming, and is great for HTPC & normal Multimedia work. I suggest you to go with Gigabyte GeForce GT 1030 Low Profile 2G or ZOTAC GeForce GT 1030 2GB GDDR5 . If you are going for other model then make sure it is a GDDR5 one because the DDR4 variant of this card is weaker. Also, you can safely run this card on your system as it consumes very less power (~35W), and you don’t have to upgrade your PSU for it. Thanks A. Verma, i really appreciate it, you Quick reply, you just made my day man! And i appreciate your work! Hello.. My processor is Ryzen 7 2700 and Mobo… B450.. RAM.. 16GB.. For Audio production and 1080p video editing.. Which gpu should I buy..? Well my budget isn’t too high for gpu cause I’m already spending a lot more money on a powerful CPU from my complete budget..
Just tell the sufficient gpu for me in low budget asap..! Go for the GeForce GTX 1050 Ti. Okay.. It seems like out of my budget..
Can you please suggest me a good setup for audio and video editing under 55000 – 60000 INR? with monitor! I have dell inspiron 3268, I want to install dedicated graphics card, which one yoo recomend?